They were two young men from the Show-Me State with big ideas. Arthur Grissom and George Creel founded The Independent. The first issue appeared in March 1899. Arthur was a poet and short-story writer, originally from Independence, Missouri. He found success in New York, but a hometown romance would alter the course of his life, not once, but numerous times. The girl was Julia Woods. Her father, Dr. W.S. Woods, was a millionaire banker. Unlike his daughter, Dr. Woods had no weakness for poetry – or for poets. The romance ended, and Arthur moved to New York alone. Julia became engaged to a Missouri banker. Her mother made a few mistakes: one was taking Julia to New York to buy her trousseau, and the other was allowing Julia to go out by herself one day. Mrs. Woods had a headache that morning, and a bigger headache by nightfall: Julia and Arthur, by happenstance or prior plan, had run into each other and promptly been declared man and wife at the Little Church Around the Corner. Julia’s parents were appalled. (That banker to whom she was engaged? He exits the story here.) There was, as so often in melodramas, a softening in attitudes after the union was blessed with a baby girl, Gladys. At that point, Dr. Woods decided that the best course of action was to make a Missouri banker out of Arthur, thus bringing Julia and Gladys back home. If that had ended well, there would have been no Independent, and maybe Gladys wouldn’t have been the only child of that marriage. Instead, Arthur was miserable – and he decided to ask his friend George to leave New York to start a newspaper in Kansas City. The two financed the project by selling subscriptions prior to publication. Arthur’s departure from the bank led to his separation from Julia and also from Gladys. Arthur sued Dr. Woods for alienation of affection. The lawsuit was settled for $18,000. At that point, Arthur returned to New York. He was a founder of The Smart Set and served as its co-editor for a year. Then, on December 4, 1901, he died of typhoid fever. Arthur was only 31. He didn’t see Gladys grow up to be the wife of James Madison Kemper. He wasn’t there for the years when H.L. Mencken was writing for The Smart Set. If he had lived to be 100, he would have seen The Independent pass its 70th anniversary – and that was more than 45 years ago. George Creel was also a Missourian, born in Lafayette County in 1876. He grew up poor, bounced around Kansas City and Odessa, Missouri, and left school without a high school diploma. In spite of that, he was on the staff of The Kansas City World newspaper by the time he was in his early 20s. He spent a brief time in New York before returning to Kansas City at Arthur’s request. George continued to run The Independent for years after Arthur left town, finally parting with the magazine in 1909. He then moved to Denver, where he worked as a newspaperman and was, for a time, a police commissioner. He married in 1912 and fathered a son and daughter. After the outbreak of World War I, at President Woodrow Wilson’s request, George served as the chairman of Committee on Public Information (CPI), with the goal of influencing how Americans thought about the war. For this, he is sometimes credited – or blamed – as the inventor of the modern propaganda machine. After the war ended, George moved to California, wrote books and was active in politics. He died in San Francisco in 1953, and he is buried in Mount Washington Cemetery in Independence, Missouri. Clara Kellogg and Katherine Baxter were the owners of The Kellogg-Baxter Printing Company. They had been printing the magazine for some years. George Creel either sold The Independent to them, or (rumor has it) he may have given it to them. Clara, the elder of the two, was born in Ohio in 1865. (Some of her relatives were in the newspaper business. One Kellogg married a Scripps, also a name known in publishing. That couple lived in California, and numbered the founder of the La Jolla Bath and Tennis Club among their descendants. Members of the family on at least one occasion visited Clara in Kansas City.) Clara was sometimes called “Mrs. Kellogg,” but she was in fact Miss Kellogg throughout her life. It is likely that Clara and Katherine Baxter had what in those days was called a “Boston marriage.” Today, we might simply call it a marriage. They lived and worked together. On April 4, 1924, Katherine died at the young age of 43, struck down by pneumonia. Her death certificate lists her occupation as “Editor – The Independent.” Clyde Elaine Robinson, (yes, you’re not alone — we suspect her parents wanted a boy), served as editor until 1927, when Clara added that title to her many other roles. For the rest of the years that Clara owned the magazine, a memorial to Katherine, with a picture of her as a young woman, ran in The Independent on the first Saturday in April. Martha Hall Nichols began work at The Independent in 1928. She was a diminutive girl with large, soulful eyes and the short hair of a flapper. On September 17, 1932, Martha married Gleed Gaylord. He was 28, and she was 24. (Shh! A lady never tells her age.) Their wedding was not the grand event of the type so often written up in the magazine. Martha’s mother had died, and the ceremony was at her father’s house. Her future mother-in-law offered to have a white tulle dress made for her, but Martha chose instead a short “bright geranium red” dress of crepe de chine, designed by Nettie Rosenstein. Mr. and Mrs. Gaylord resided for many years in a 19th century house near The Nelson-Atkins Museum of Art, which they filled with 18th century French antiques. In December 1939, Martha Gaylord bought the controlling interest in The Creel Publishing Company from Clara Kellogg, who remained the owner of the Kellogg-Baxter Printing Company. At this point, Martha Gaylord became the executive editor, with Miss Kellogg as president and treasurer. 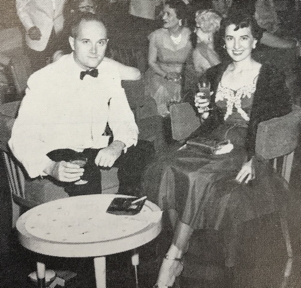 During World War II, Martha Gaylord realized that the magazine appealed to men as well as women, when she received requests to send copies to servicemen overseas. Mary Maloney was hired in 1948. She later became the executive editor, serving until 1969. Pat Patzer joined the staff in 1961. She would remain with The Independent for the rest of her life. When The Independent celebrated its 65th anniversary in 1964, its offices were located in the Scarritt Arcade at 819 Walnut Street. The magazine employed 14 women. Martha Gaylord told Marjean Phillips of The Kansas City Star, “In this day of advanced communications, people are aware of the distress of the world. I think we are starved for bright moments, and The Independent provides just that.” Advertisers saluted the publication; few could match its longevity. Martha Gaylord’s business became her husband’s, as well. At the time of his death in 1966, Gleed Gaylord was the business manager of The Independent. William T. “Billy” Kemper, Jr.
Mr. and Mrs. Robert P. Ingram, Jr.
After 27 years in the Scarritt Arcade, the magazine moved its headquarters to the Union Carbide Building at 912 Baltimore in 1973. The following year, Mrs. Gaylord turned over the editorial duties to Patricia “Pat” Patzer. Her tenure as editor of The Independent would last 16 years. Although she owned a 1950s car (in mint condition), Miss Patzer preferred riding the bus to driving. What she saw on her way downtown often turned up in her column, “Over My Shoulder.” Martha Gaylord didn’t drive to work, either. Former staff member Barbara Butler remembers Mrs. Gaylord (never “Mrs. G.”) arriving at the office in a Dillard’s cab during their time at the Union Carbide building. Martha Gaylord moved to The Walnuts in 1978. Five years later, Mrs. Gaylord sold The Independent. Robert P. Ingram, Jr. was first listed as publisher on the masthead of the July 9, 1983 issue. Mr. Ingram (his contemporaries called him “Bob”) was best-known as a businessman and a philanthropist. He started his career as a salesman when he was still a schoolboy, and his interest in the stock market began just a few years later. Mr. Ingram’s motto was “Nothing happens ’til somebody sells something.” He moved to Kansas City in the 1940s. Mary Elizabeth “Beth” Renfro caught his eye, and the two were wed in September 1949. Two children were born of this marriage – Jill Ingram Reynolds and Robert P. Ingram III, better-known as Chip. Mr. Ingram became a significant investor in Rubbermaid stock, a real estate developer and the owner of radios stations and magazines. When asked about himself, he preferred to say only, “I’m just a shy backward Republican trying to make a living.” The truth was a good deal more complex. Mr. Ingram worked hard on behalf of projects that he believed would improve Our Town. He was a patron of the Lyric Opera, a role continued by Mrs. Ingram and their children. On top of all else, Mr. Ingram brought The Independent into the computer age. That was no small feat. Martha Nichols Gaylord died in 1986. She was survived by her sisters, Martha D. Nichols and Margaret Adella Nichols Simonds (Mrs. Lowell Goodman Simonds) — and by The Independent. The 1983 sale ensured it was in good hands. George Creel, Katherine Baxter and Clara Kellogg and Martha and Gleed Gaylord: all are buried at Mount Washington Cemetery in Independence, Missouri. Pat Patzer was a very private person. While she was the editor of The Independent, her other responsibilities including caring for her elderly mother and enduring many years of treatment for cancer. Pat preferred not to ask for help, and often turned down offers of assistance. In conversation, she deftly deflected the topic from her life to that of the person with her. Pat died in April 1990, less than a month after her mother’s death. Georganne Hall, the daughter of Jewel Ball chairman Sallie Stanley Oliver and a future Jewel Ball chairman herself, was named editor that June. One of Mr. Ingram’s properties was the Argyle Building, and The Independent moved there. When Bartle Hall was under construction in 1994, staff members could watch the progress from the west windows of their 10th floor offices. A few years later, the offices moved downstairs to the sixth floor. There was even a time when the advertising staff’s quarters were the daytime home of a darling litter of Jack Russell terriers, thanks to an enterprising employee who was also a dog breeder. In 1996, Laureen “Laurie” Maher Ingram, the wife of Robert Palmer “Chip” Ingram III, purchased the magazine from her father-in-law. Laurie and Chip were both active in managing The Independent for more than 20 years. After the elder Mr. Ingram’s death in 1997, his secretary, Marie Brown, remained with the business, becoming Laurie’s executive assistant. Marie had encyclopedic knowledge of longtime subscribers. She knew everyone’s name and was a master proofreader. “Mother Marie,” as some called her, was the heart of The Independent for many years. Through the decades, the vast majority of staff members have been female. A notable exception is Mark Haas. He first appeared on the masthead in the 1990s, eventually serving as associate publisher. 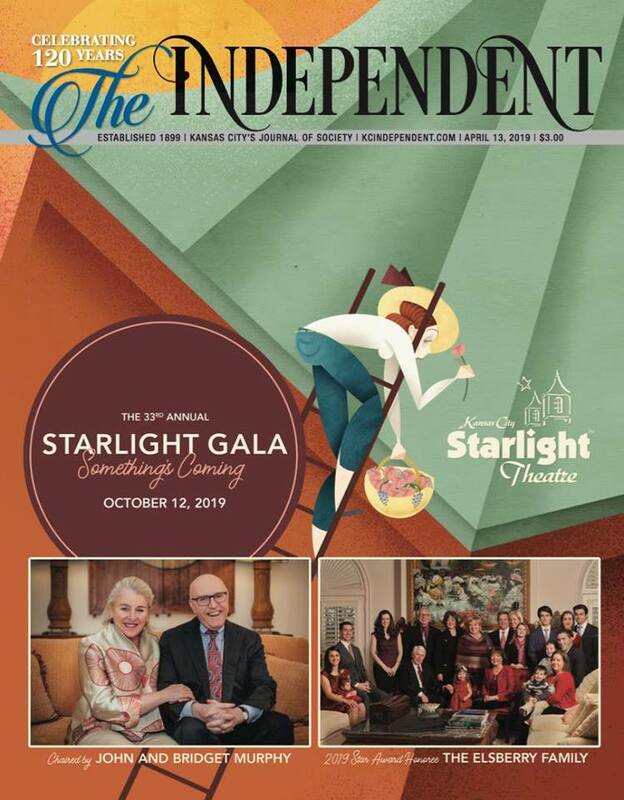 The Independent’s 100th Anniversary Gala was held in March 1999, with a guest list that included longtime subscribers Martha Belle Aikins Smith, Josephine Stubbs, Eva Pickard, Margie Jo Sams, Tillie Heyle, in addition to Marilyn Sinclair and Winifred Spradling, (they were sisters – their maiden name was Jenkins), and the Matthews sisters, Madeline and Jeanne. Georganne Hall remained editor until 2002. She was first succeeded by Julie Mulhern (now known for her Country Club Murders series of mystery novels featuring Ellison Russell), then by Anne Potter Russ, and later by Ann Slegman, who now serves as a contributing writer. The Independent left downtown in 2004. The Ingram family sold the Argyle Building, and Laurie and Chip Ingram bought 4233 Roanoke Road, (remembered by some as the Pioneer Financial Building). Callers were still greeted by Jean Miller, the longtime receptionist, whose good cheer in answering the telephone can’t be rendered in print. Suffice it to say that the rising tones she brought to the simple greeting, “Good afternoon, The Independent!” are well-remembered years after her retirement at the beginning of 2012. Lisa M. Shea began her association with the magazine in 1996. To this day, her ability as art director draws praise from readers and advertising clients alike. Jenny Owens Hughes joined the staff in 2004 and has flourished in a variety of roles including editorial associate and projects manager. She is now the Associate Publisher. Nancy Sachse has been the editor since 2012, fulfilling her duties even while serving as chairman of the 2017 Jewel Ball. In the spring of 2017, Rachel and Jake Falcon purchased The Independent. Several weeks later, the two were wed. (Why yes, we could certainly make an “I Wonder” out of that!) As spring arrived in 2018, The Independent headed southwest, relocating to a new office at 2400 West 75th Street in Prairie Village, Kansas. Clara Kellogg would have been surprised. 77th Street marked the city limits in Kansas City, Missouri, during her time as editor, and much of Prairie Village was still just a gleam in J.C. Nichols’ eye in her later years.